I'll start this Monday post with the biggest news: We are expecting our third baby July 30th! I have been wanting to tell everyone for a while but I wanted to wait until the first doctor visit and ultrasound were complete. 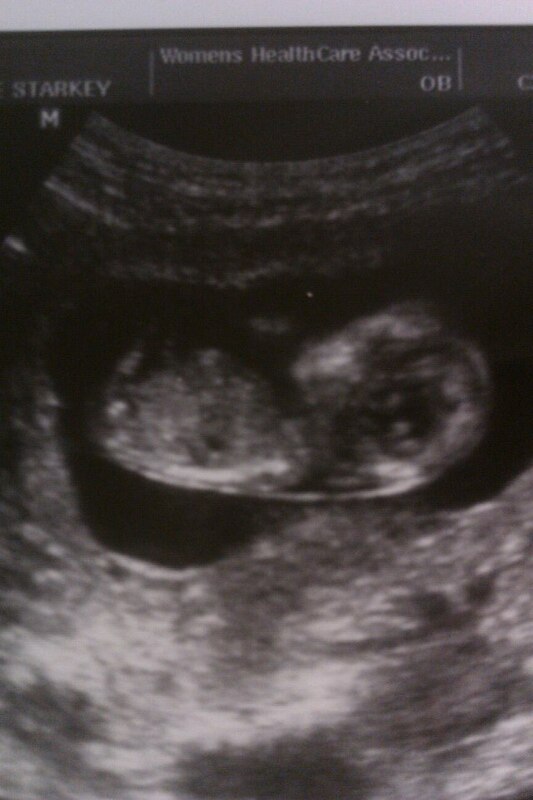 Right now I am 12 weeks and 6 days, and everything is looking good and healthy. I was blessed to have very easy pregnancies with the boys and am hoping this one will be too. We would really like to have a girl this time, but if it's a boy we have a TON of clothes and toys lol. This pregnancy is similar to the others in that coffee makes me feel sick and I get stuffy off and on. It is different in that even tea (hot or cold) makes me sick if I drink too much and I have more moments of yucky-I guess you could say queasiness, without actually getting sick. I have the urge to make little girl clothes and am thinking about looking for patterns for cute summer dresses for me. Of course, it could all just be in my head because I'm hoping for a little girl. :) Oh well, we'll find out in a couple of months! 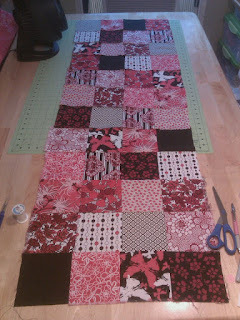 So, I made progress on the red and black table runner on Friday but then did nothing Saturday and Sunday. I am trying to keep Sunday a day of rest and let me tell ya, it is hard! lol. Although technically if sewing is relaxing to me and more like a hobby, I guess it would be okay, right?! I have other upcoming projects but am waiting until it is time to start on them. 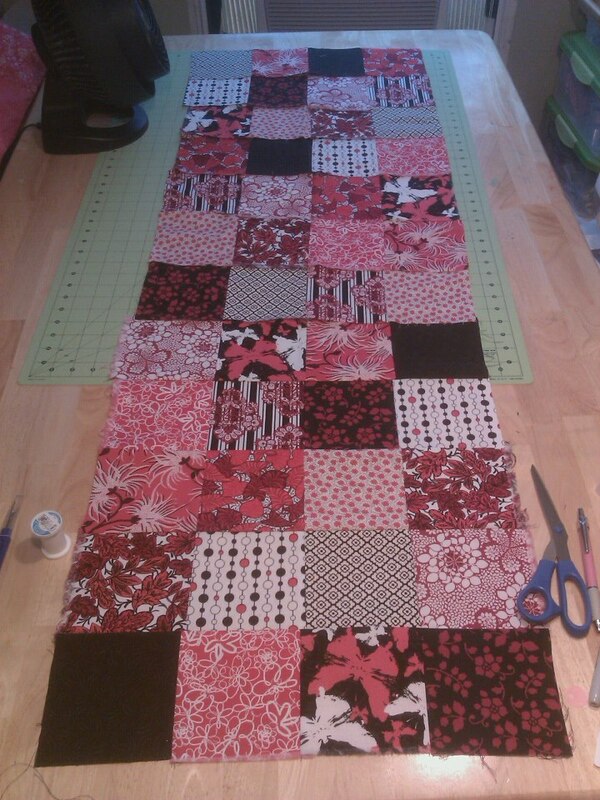 This week-the challenge will be my main focus and then if there is time, the black and red table runner, and the cat potholder and towel for my friend. Projects, Mommy Inspiration, and Treasuries!